The Assembly of Manitoba Chiefs ha​s​ been joined by Anishinabek of Ontario, representing 42 First Nations, in rejecting the name 'Aboriginal.' But that term and several others have not been easy to shed, writes Don Marks. 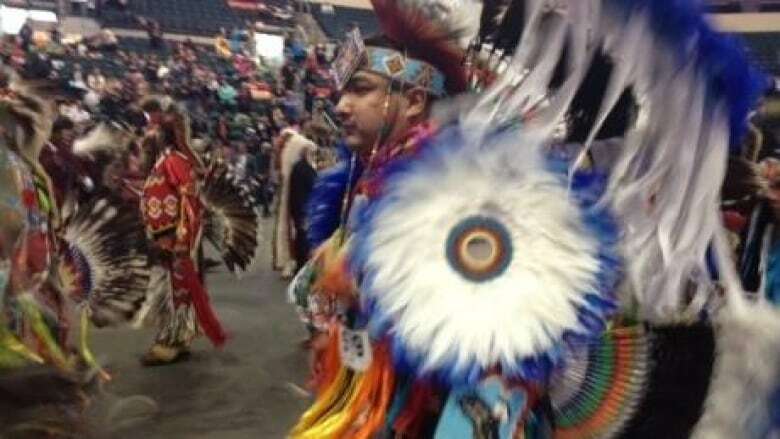 The Assembly of Manitoba Chiefs (AMC) ha​s​ been joined by Anishinabek of Ontario, representing 42 First Nations, in rejecting the name "Aboriginal." The AMC, which passed a resolution not to deal with organizations that use the name "Aboriginal" a couple years back, might want to inform the Anishinabek that the term Aboriginal hasn't been easy to shed. It's an English word​, and it's​ not what they call themselves. Most people assume the word Aboriginal means "the first inhabitants" or "from the beginning." But the root meaning of the word​ ​"ab" is a Latin prefix that means "away from" or "not." And so Aboriginal can mean "not original." The issue here is not so much about a word as it is about reclaiming identity. In a spiritual and cultural sense, names like aboriginal deprive the people of their own identity and force them to adopt a new one. Identity is defined by language and words. The focus on efforts to reclaim identity has been on what name should be used to refer to the people as a group. But the answer to this remains perplexing. Originally, they were called Indians, but this has run out of favo​u​r, mostly because of negative connotations which became attached to that name over the years. The term remains in use because there are still many people who have been called, and have called themselves, Indians all their lives. Who is going to argue with an elder or a veteran who served their people and this country as an Indian and still wants to be known as that? The name Indian supposedly originated because Christopher Columbus got lost when he was looking for India and mistakenly called the inhabitants he met here Indians. A more romanticized theory is that Columbus was so impressed by the physical spirit and nature of the Taino people he encountered in what is now known as Puerto Rico that he proclaimed they must have been made from the body of God, or "du corpus in Deo." From in Deo comes the name Indian. But the word Indian was never spoken prior to colonization. It is a name that originated from foreigners. In Canada, it is quite frowned upon to use the name Indian in casual conversation​,​ but we still have organizations with names like the Manitoba Indian Education Association. Next door, we have the Saskatchewan Indian Gaming Authority and S​askatchewan​ I​ndian​ Cultural Centre and S​askatchewan ​I​ndian​ Equity Foundation. The name just won't go away. Especially in the United States. Not only is the name Indian commonly used in everyday conversation without flinching or grimacing, the two most prominent organizations representing the original inhabitants of North America are the National Congress of American Indians (NCAI) and the American Indian Movement (AIM). The most recent image of native Americans that has gained prominence has come from the National Indian Gaming Association. Perhaps this is because the politically correct people came up with the name "Native American," ignoring the fact that "America" is named for Italian explorer Amerigo Vespucci and "Native" can be tied to anybody anywhere, like "I am native to the North End." The bottom line is that once a name find its way into common usage, it is almost impossible to shake it. Despite its powerful critics, we still see the word "Aboriginal" used widely by government, business and media. In their "About Us" section on the AMC website, it reads "to promote, preserve and protect Aboriginal and treaty rights for First Nation people in Manitoba" (perhaps using the word Aboriginal in a more global sense or to match federal government terminology or maybe even because it is so readily recognizable). Think of all the letterheads and signs and such that would have to be changed, like the Canadian Council for Aboriginal Business (formerly the Canadian Council for Native Business) or the Department of Aboriginal Affairs and Northern Development (formerly the Department of Indian Affairs and Northern Development). Variations of the name "Anicinabe" are accurate around here because many people agree it means "the people​,​" but the name Haudenosaunee also means "the people" to the Mohawks​, and who can forget how Old Lodgeskins/Dan George told "little big man" how the name of his particular tribe meant the "human beings?" "Indigenous" is being used lately because some see it providing a connection with the land, but it is, after all, another word that stems from a foreign language. The term "First Nations" has been used to describe the Ojibway, Dene, Dakota, Metis and Ininew (Cree) people in Manitoba and has found long-term acceptability. With so many different groups ranging from Mi'kmaq to Haida having so many things in common, people had to come up with a non-specific name which might include everyone. Note that the AMC uses First Nation to refer to themselves in their "About Us." Bottom line: First Nation people have done much to reclaim their identity by striving to become independent and self-sufficient. This is a good way to go about things for now. Perhaps the biggest problem with all of this is that we fight over it and people's feelings get hurt. I have always maintained that we should call people what they want to be called, and if I make a mistake when I refer to someone's name, I ask that they please "guide me gently to a higher understanding" like the elders do. I never meant to offend anyone and I hope we can teach each other about these things in a good way. Don Marks is a Winnipeg writer and the editor of Grassroots News. His latest book, Playing the White Man's Games​,​ is being released this month.